Our third Accessibility Scotland conference happened on the 9th of November 2018 in Edinburgh. And like our previous outings – it was sold out, this time with 150 delegates who travelled from all over the UK. Our speakers also came from far and wide, with Hampus travelling from Sweden, and Vasilis travelling from the Netherlands to join us. This time we were able to provide sponsored tickets to delegates from underrepresented groups, and we were lucky to have a highly accessible venue, with live captioning and BSL. Our speakers spoke on themes covering Brexit, Inclusive Design, and integrating inclusivity into the organisational culture. 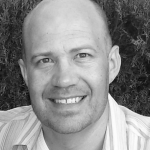 Curt Holst is a Senior Digital Accessibility Consultant at Barclays. Curt has over 14 years experience in accessibility and currently works at Barclays Bank to ensure that technology services used by customers and colleagues are created with accessibility in mind from the outset. Traditionally accessibility is considered a component of usability focusing on people with disabilities but is often not seen as a powerful opportunity to innovate. Accessibility is about ensuring that our products, services and workplaces are available to and usable by everyone, especially those with disabilities. Done well, accessibility brings a multitude of benefits – from improved customer experience and reach, more engaged and productive colleagues, bolstering brand and mitigating risks. However, many businesses still do not pay attention to this topic, despite accessibility being of more benefit to more disabled/older customers and of growing interest to some organisations who see the opportunity. We often mistake the concept of accessibility as involving people with disabilities. However, we’re all disabled in many contexts and circumstances. Accessibility is all about people. If you’ve ever suffered an injury, you’ll know how difficult formerly simple tasks become. Accessibility and improved User Experience for all video and transcript. 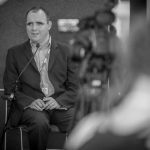 Paul Bepey is himself registered blind and has a huge interest in Assistive Tech both inside and outside of the workplace. As BBC Assistive Technology Lead, Paul heads up the Staff Facing Accessibility Team and the plan, setup and execution the BBC’s strategic objectives with regards to Assistive Technology. Paul’s team design the overall Assistive Technology service within the BBC, and work with a range of projects to ensure that where possible, any Staff Facing Technology is Accessible at launch, and compatible with the various Assistive Technology apps the BBC deploy throughout the organisation. He also ensures that the end to end processes around AT work for both existing and new staff coming into the organisation. Paul will be talking about how the BBC has built an inclusive accessibility model across its backstage systems. This includes building accessibility in Procurement, Recruitment through to building inclusive design and BBC staff work producing content. Paul will talk about the journey the BBC has taken to get here and things they have learned along the way. Building end to end accessibility at the BBC video and transcript. Hampus Sethfors: Have you tried to dab some coconut oil on your spine? 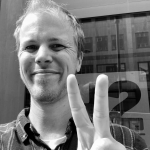 Hampus Sethfors is originally a UX (User Experience) designer but has specialised in accessibility the last 5 years of his career. He is the founder of Axess Lab in Stockholm, Sweden and believes that travelling to Scotland in November is the ultimate display of his passion for accessibility! People with disabilities often get tips on how to “cure” their disability. Let’s focus on curing the inaccessible environment instead. In this talk, you’ll get some top-notch tips on designing accessible interfaces and learn why many design trends exclude people with disabilities. Have you tried to dab some coconut oil on your spine? Video and transcript. 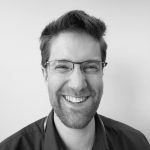 Phil Day is the Senior Usability Manager at NCR, managing a small team of usability, accessibility & interaction design experts; together they work to make our products more usable for everyone. He has been at NCR for almost 13 years and worked in human factors research in both academic and commercial roles before this. Self-service technology, such as ATMs and supermarket self-checkouts, must be accessible to anyone, anywhere, anytime, without prior experience, training or assistive technology. Considering that self-service technology is often used to handle financial transactions, accessibility must be achieved without compromising the safety, security and privacy of the user’s information. There are numerous standards, guidelines and legal requirements specifying what makes a self-service terminal, particularly an ATM, accessible to people with disabilities. While these requirements can be helpful in improving accessibility, they can sometimes be more of a hindrance than a help. In this talk, Phil discusses the accessibility challenges and opportunities at NCR, one of the world’s largest providers of self-service technology. Accessibility of self-service technology = Accessibility for anyone, anywhere, anytime video and transcript. Heather Burns is a tech policy and regulation specialist based in Glasgow. She helps digital businesses and professionals to understand the policies and regulations which impact their work on issues ranging from privacy to accessibility to e-commerce. Her interest in web accessibility began over twenty years ago when her mother, living with and ultimately dying from Motor Neurone Disease, found that her life was as compromised by the inability to communicate as it was by the illness itself. 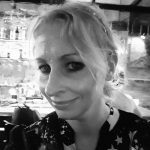 Today, in addition to prolific writing and speaking on tech policy issues, Heather is a consultant to the All-Party Parliamentary Group for Assistive Technology, a component maintainer of WordPress.org’s core privacy team, and a co-organiser of WordCamp Edinburgh. Next year the UK leaves the European Union (EU). What will this mean for the EU accessibility regulations which currently guide our work, the new accessibility legislation in the pipeline, and disability rights in general? Join me to learn what’s going, what’s staying, and what might get lost in transition. I will also provide an insider’s view of how European law is travelling through Westminster during the Article 50 process to its unknown destination. So long, farewell, Auf Wiedersehen, adieu: what Brexit means for accessibility and you and you and you video and transcript. 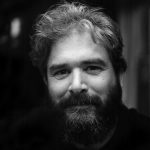 Vasilis van Gemert is a lecturer at the University of Applied Sciences in Amsterdam where he teaches the next generation of digital product designers about designing with the web as a material. Apart from being a teacher, he is a student as well. He follows the Design Research Master course at the Willem de Kooning Academy in Rotterdam. His research is about creating pleasurable digital user interfaces exclusively for real persons with disabilities. Vasilis flipped the Paciello Group Inclusive Design Principles and turned them into a set of Exclusive Design Principles. He used these principles to create tailor-made, pleasurable user experiences for real people with disabilities.Instead of designing exclusively for ourselves, he started to design tailor-made solutions for – and together with – people with accessibility needs.In the past year, Vasilis did several experiments with designing digital user experiences exclusively for real persons with real disabilities. Together with his students, he came up with – sometimes unorthodox – alternative forms of interaction. They created a design for a friend who is severely motor disabled. They reimagined a video page for a designer who is deaf. They designed a website for a blind designer with the Blind First principle. In this talk, Vasilis will show you the results of these experiments, and share all the insights he gained during his research.